Villa Chune is a beautiful holiday home perfectly located in between the quaint towns of Holetown and Speightstown. Situated in blissful peace and quiet. Villa Chune is a beautiful holiday home perfectly located in between the quaint towns of Holetown and Speightstown. 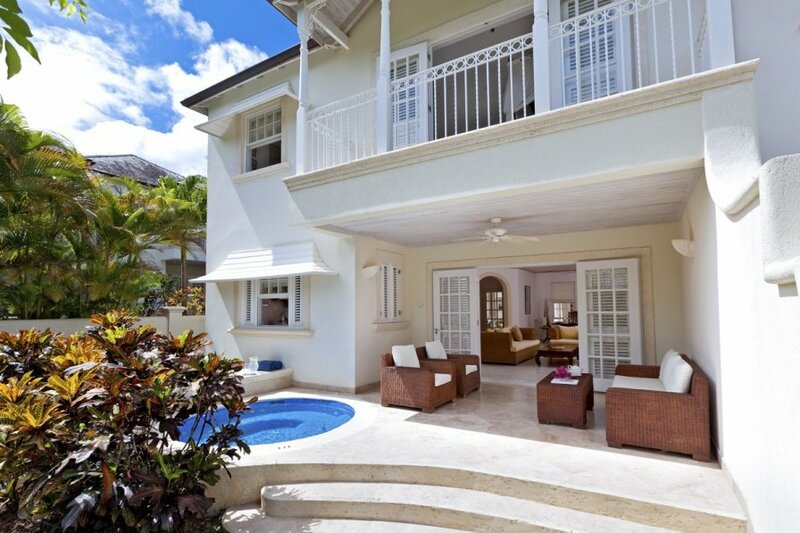 Situated in blissful peace and quiet, guests will enjoy a wonderful holiday in the midst of the picturesque landscapes of the West Coast of Barbados. Upon entering the villa, guests will be greeted with an excellent outside seating area for eight, overlooking the garden that can be used for dining and lounging. For those wishing to utilise the wonderful weather, Villa Chune comes complete with a sizeable outside area, a private covered terrace and a relaxing and indulgent plunge pool. You'll want to spend as much time under the Bajan sun as possible. Two beach chairs are available, to use either at the villa or at the close by Mullins Beach. The stunning and Italian designed kitchen is equipped with modern appliances for guests wanting to try their hand at cooking a spot of Caribbean cuisine. All ingredients can be purchased at the local supermarkets in Speightstown. Evenings spent inside will never be boring. At Villa Chune you'll be able to catch up on some much-needed quality time with family or friends, whether that's gathering around the living room's cable television or dining al fresco on the patio. Stepping into the marble bathrooms, you will feel like you are getting ready in your own exclusive spa. The property is regularly cleaned so it's always in an immaculate yet homely condition. Why not make yourself at home with the concierge service ready to offer full support with all of your holiday requirements. Whilst staying at Villa Chune, you will have access to the community gym and snackette that provides packaged snacks, wine, rum punch, beer and sodas. The private location of this holiday home allows guests to discover the true and natural Barbados, but watch out, you might just see a monkey or two in one of the many neighbouring trees. Villa Chune is a 3-bedroom villa that sleeps up to 6-guests. All bedrooms can be found on the first floor and have at least a walk-in shower. The villa has a private plunge pool and the communal use of a swimming pool, gym and tennis courts. Villa Chune is just a 5-minute walk away from Mullins Beach, a small and popular beach, lovely for snorkelling jet ski rides and for taking in the stunning surrounding scenery. When you're not looking out onto the calming seas, you can have a drink at one of the surrounding bars. The lively little beach is also a great location to try and spot a turtle. Speightstown, the second largest town on the island is worth a visit for its fantastic architecture, comprising of historic buildings. forts and invasions. The quaint Bajan town is full of street vendors selling seasonings, fresh fish, fruit and vegetables, reminiscent of its heyday as a thriving port, one of the island's busiest, and trading location. While visiting Speightstown, make sure you go to the Gallery of Caribbean Art. Open until 4.00 p.m. Monday to Friday, and until 2.00 p.m. on Sunday, the gallery is a vibrant celebration of the island's most creative art and artists. Hailed as one of the best selections of local art, the small gallery that holds over 100 paintings, sculptures, ceramics and jewellery is a must see. Holetown is a magnificent location to try out some diving. If you're feeling particularly adventurous, just off the coast of Holetown lies one of the most visited wreck dives in the Caribbean. Here you can dive into an ancient world and explore some of the area's sunken shipwrecks. There are various diving services available in this area.